Cape Of Good Code – Everything you wanted to know about your code but were afraid to ask. 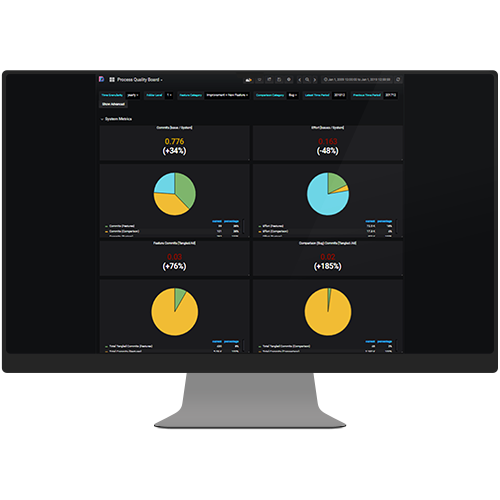 Our innovative feature-based effort and quality analysis reveals imbalances between R&D effort and the business value of features. DETANGLE analysis enables business and software development to act in concert. Heated subjective discussions turn into data-driven, fact-based business decisions. 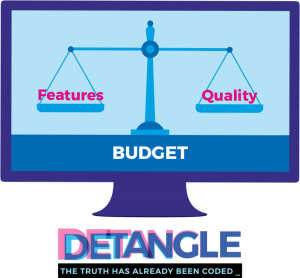 DETANGLE enables all stakeholder to find an optimal balance between features and quality when realizing new features and reducing technical debt. DETANGLE makes the invisible visible by delivering "aha moments" to engineers and managers alike. DETANGLE lets you take decisions in a mutually comprehensible and agreeable way be offering an objective perspective on any project. How well can you extend or add new features for customers? Which parts of the code can you extend well and which not? Which parts are worth improving and which not? 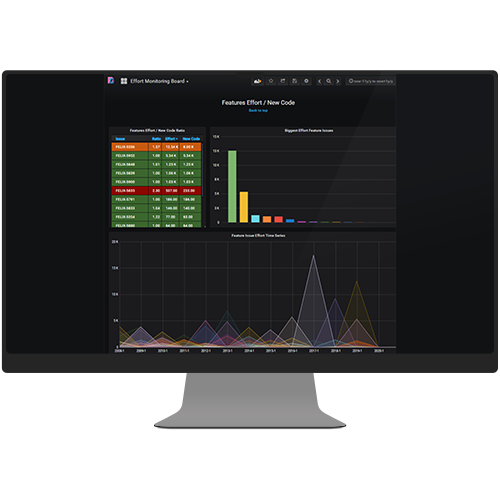 DETANGLE measures feature maintainability to suggest improvements relevant to your business functionality. Where do you expect the most errors to come? Identifying the hot spots of bugs is one part of the game. But predicting new hotspots allows addressing them early. DETANGLE predicts errors based on feature maintainability and suggests improvements to avoid exponential cost growth later. For what (functionality) and where (in code) do you spend the main development effort? Is it supposed to be this way? 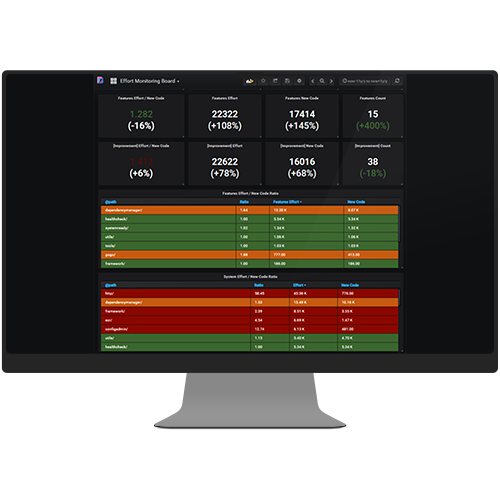 DETANGLE monitors the effort distribution to let you check customer value against effort expectations. How do you know how much effort it takes to improve your quality? Is there any evidence to base on your estimations? 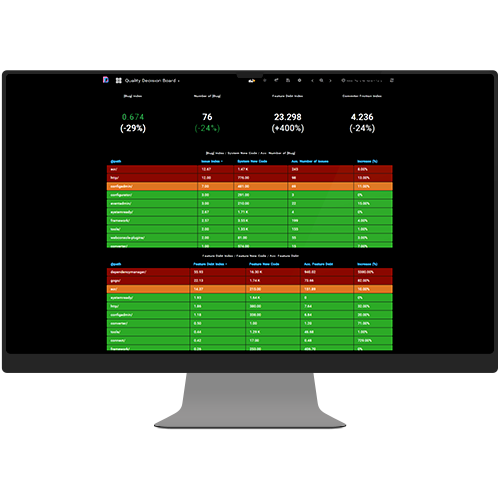 DETANGLE provides effort estimations of quality improvements to balance improvement benefits versus their costs. What needs to be done - in a pragmatic way - to be able to answer the former questions? DETANGLE measures the process quality and suggests process improvements to get the most beneficial recommendations. People and their system knowledge are a major player in software engineering. How do you manage the main risk of knowledge distribution? 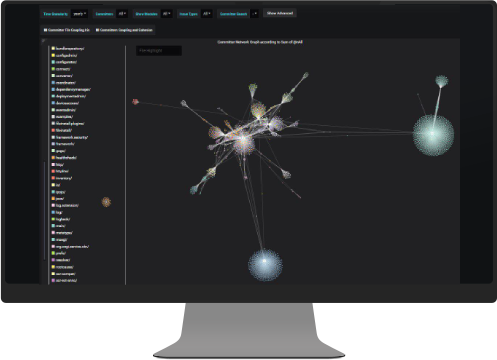 DETANGLE identifies the patterns of system knowledge within your teams, across teams and helps to reduce the main risks of an unbalanced knowledge distribution.